Decades before his star role in the 1995 Pixar film, Toy Story, Mr. Potato Head was a business trailblazer. 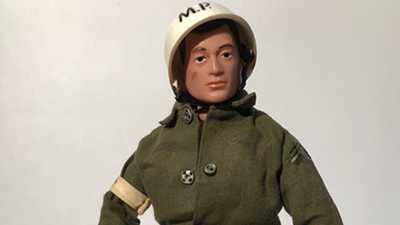 As the first toy to be marketed on television, Mr. Potato Head broke new ground with ads that specifically targeted the children who used the toy, rather than the parents who paid for it. Inventor George Lerner came up with the idea for Mr. Potato Head in 1949. 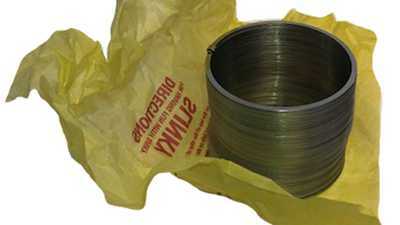 Although there were similar toys on the market at the time, Lerner’s toy was the first to use three dimensional pieces. Lerner pitched Mr. Potato Head to multiple toy manufacturers but most worried that playing with vegetables would seem wasteful to Americans who had so recently lived through food rationing during WWII. Eventually, a food company agreed to pay him a small licensing fee to distribute his packet of plastic facial pieces as a prize inside their cereal boxes. Still eager to find a way to manufacture Mr. Potato Head as a stand-alone toy, Lerner reached out to Henry and Merrill Hassenfeld, who ran a Rhode-Island based toy company that would later change its name to Hasbro. The Hassenfelds were intrigued and bought the license from the food company. As Christopher Bensch, Chief Curator at the National Toy Hall of Fame notes, a potato seemed the logical choice for Lerner’s face parts. “[They] were relatively cheap, they were available year-round, and they weren’t seasonal like some fruits or other vegetables were.” Initially, however, buyers placed the simple face parts on a variety of fruits and vegetables. In the decades since that first Mr. Potato Head ad, concern about the commercialization of childhood has increased. Parents wary about aggressive marketing directed toward their children have pushed for increased government monitoring and regulation of commercials. In the 1960’s and 1970’s, new government regulations prohibiting sharp toys, resticted sales of the pointed plastic facial pieces the Mr. Potato Head kit used to puncture raw potatoes. In response, Hasbro designed a plastic body complete with pre-made holes for the facial pieces. Parents were happy about the addition of the plastic body as they no longer had to worry about rotting vegetables forgotten under beds and couches. The regulations also forced Hasbro to double the size of Mr. Potato Head and its components because the original small facial parts were deemed a choking hazard. Luckily for Hasbro, the switch ultimately broadened the market to younger children. 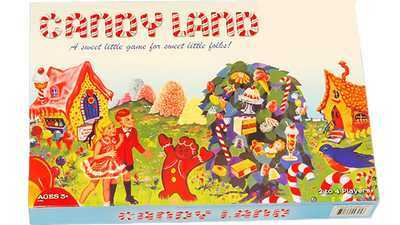 Although Candy Land started in a polio ward, its connection to the infamous disease was kept secret for 50 years. Its steady rise in popularity was due to the fact that it entertained young children in a simple and fun way.